Heart disease is a generic term for any condition that causes the heart to not function correctly. In dogs there are 3 common causes for heart problems; mitral valve deficiency, dilated cardiomyopathy, and heart-based tumors. These are discussed in this article. When you bring Fido in for his annual exam, the doctor always listens to his/her heart. This is one of the many reasons that an annual exam is important. The doctor will listen to the sounds of Fido’s heart to discern any unusual sounds that could be heart murmurs or arrhythmias. A heart murmur makes a swishing sound because of abnormal blood flow through the heart chambers. If the doctor hears a heart murmur, it is graded 1 through 6—6 being the worst—to establish a baseline for future monitoring. An arrhythmia is an irregularity of the heart rhythm. It can occur as a fast or slow heart rate or one that does not beat in a regular pattern. The doctor can then use further testing such as bloodwork, x-rays, ultrasound, and Doppler to diagnose Fido’s heart condition. Mitral valve deficiency (MVD) is a degenerative disease of the mitral valve. The valves do not function properly, and they will let blood flow incorrectly in the heart. This creates a murmur. The heart can then start to enlarge to compensate for the blood not flowing correctly, and it can eventually lead to congestive heart failure. 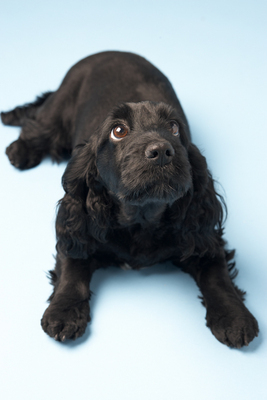 These dogs will be less energetic and often have a cough. 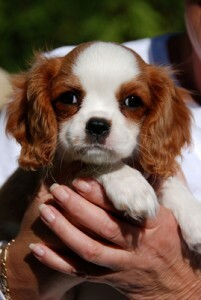 This disease is more common in middle-aged dogs and small breeds—the Cavalier King Charles Spaniel being the most common. The treatment consists of oral medication that can help Fido’s heart function better to help lessen the effects of a bad heart. Even with treatment, the pet may not be able to do some of the activities it once enjoyed. The medicines do not “cure” the valve problem, but should improve how well your dog gets along. Dilated cardimoyopathy (DCM) is a disease of the heart muscle that causes the heart to enlarge and not contract properly. The walls of the heart become thin and resemble a balloon. When the heart enlarges and does not pump properly, the blood flow begins to back up and flow back into the lungs or abdomen, depending on which part of the heart fails. Dogs with DCM can be presented with a wheezy cough, anorexia, cool extremities (from improper blood flow), and distended abdomen. The dog might have a heart murmur, weak pulses, and arrhythmias. 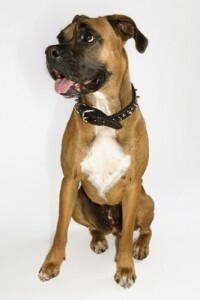 This disease is more common in the larger breeds, Dobermans and Boxers being the most common. This disease is usually not found until the dog has had the condition for some time. Oral medicine and a low-sodium diet are required for these dogs to survive for any amount of time. Sadly, the prognosis for these dogs is not very good if they are not diagnosed in the early stages. Heart-based tumors are malignant tumors that occur at the top of the heart near the atrium. These tumors can originate there or metastasize from other organs. The treatment is surgery, if possible, but this is not likely. Chemotherapy is also an option, but most commonly the dog is given medicine to try to make it comfortable. Just because a dog has these symptoms, it does not always mean it has heart problems, but it is a good idea though to get your dog checked annually. That way, the doctors have a chance of finding abnormalities early.